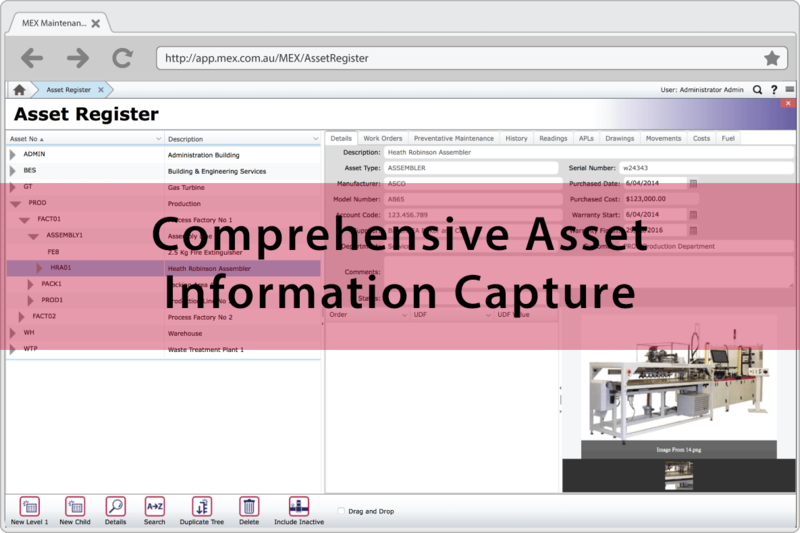 Comprehensively capture all your equipment and facility information in our fool proof Asset Register. 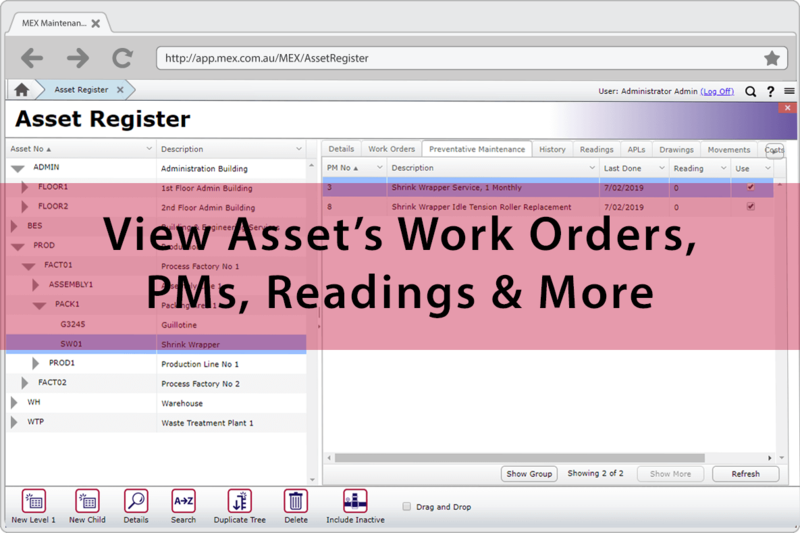 The MEX Asset Register provides comprehensive information on each Asset you maintain. Being the focal point of MEX, you can raise Work Orders, enter Readings and assign Preventative Maintenance to your Assets. The MEX Asset Register allows its users to setup a clear, concise and descriptive structure that provides a comprehensive overview of all assets and locations. By logically organising assets it makes it quick and easy to identify assets and allows for more effective scheduling of preventative maintenance activities. 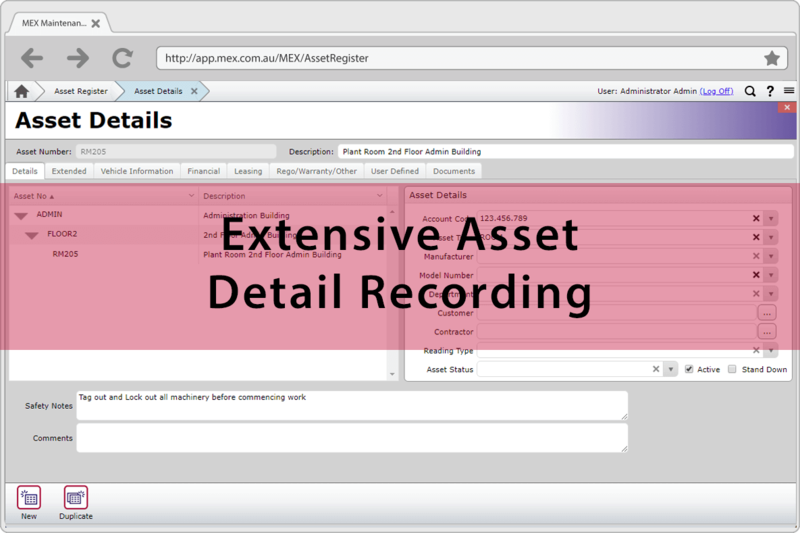 Capture associated costs, calculate asset depreciation and record time & money spent on repairs for each asset listed in the MEX Asset Register. Manage all Scheduled and Preventative Maintenance from a unified platform. Plan for productivity and know which asset needs maintenance, when and what specific job is required. By tracking the movement of fixed and mobile assets a business can optimise the utilisation of their assets and ensure they are safeguarded from any threats. Define which assets are critical and prioritise the assets that need to be more closely monitored and maintained. MEX delivers you simplicity and functionality for the management of all your maintenance and inventory needs.